Home > Debt Articles > Federal Student Loans Discharged in Bankruptcy. A Look at the Surprising 2012 Data and Cases. 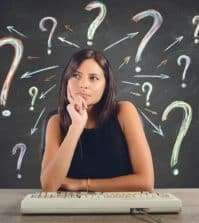 The more I research and study the reality of dealing with student loans through bankruptcy the more I am under the opinion the data does not support the assumptions many have that no good options are available in bankruptcy for student loans. In fact my research appears to show that even for government backed student loans there are some significant benefits for filing bankruptcy and an adversary proceeding for unmanageable student loans in some distinct situations. A previous article How to Really Discharge Your Student Loans in Bankruptcy. Many Can. But Never Try. reported on bankruptcy data from 2007 and demonstrated the outcomes people received who did try to deal with their public and private student loans under bankruptcy. The conventional wisdom is there are no benefits from including student loans in bankruptcy. You might as well not try many say. But for the right person who works with an attorney who is knowledgeable in this area, there appear many benefits to filing bankruptcy. This is not an automatic process—you must prove to the bankruptcy court that repaying your student loan would cause undue hardship. 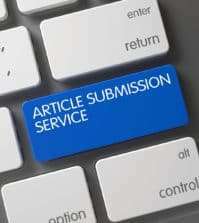 In 2012 there were a total of 52 adversary proceedings filed for government backed student loans that were resolved by the time of this article. So let’s look closely at those cases. You will find the supporting documentation on those individual cases below. I must admit it was an interesting experience to tediously look at all the U.S. Department of Education adversary proceedings. It was an eyeopener. The general perception is federal student loans are not dischargeable in bankruptcy. Obviously that assumption is not true because an allowance does exist for discharge in the case of an undue hardship. But many incorrectly assume that threshold is impossible or nearly impossible to accomplish. The actual granular data presents a surprising reality. What was interesting was the success of adversary proceedings filed by debtors against the perceived toughest student loans to deal with in bankruptcy. Of the cases studied, 47 percent were granted a full elimination of their federal student loans. Granted, those individuals were typically lower income and had some sort of mitigating medical condition or situation. An observation Iuliano made in his study of 2007 data. The full discharge of federal student loans also appears to have no relationship to the amount owed but hinges on the underlying issued experienced by the debtors. And the inclusion of some of the cases appeared to move along other remedies like payment plans or disability discharges. The medical situations presented in the cases were impactful in the lives of the debtors but the underlying medical conditions were not rare or isolated. Certainly a much higher number of debtors who filed bankruptcy have some of the very same characteristics but never filed an adversary proceeding to get a full discharge of their student loans. What was notable was the seeming inconsistency with which the discharges, settlements, or adjusted payment plans were granted. It appeared as if some of the individuals who received some benefit but not a full discharge might have been able to as others had. If more bankruptcy filers had tried for a full discharge in similar situations, they would have been granted. A look at the data did make one point painfully clear in the case of U.S. Department of Education loans. People who represented themselves rather than being represented by an attorney, did far worse and most of those cases failed due to missed deadlines or just failing to proceed. 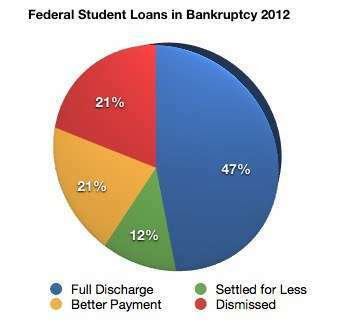 Hopefully this research of the 2012 federal loan data will assist bankruptcy attorneys to develop a streamlined path to seek a full discharge of federal student loans in medical hardship cases. Some of the cases included in the data below appeared to involve relatively little back and forth and no court appearances. And while this study does not include data of other types of student loans owed, some of the cases did. I was very surprised by the number of private student loans that were fully discharged without tax liability or adjusted because they were included in the bankruptcy discahrge. But there will be more on that to come in future articles as the research continues. 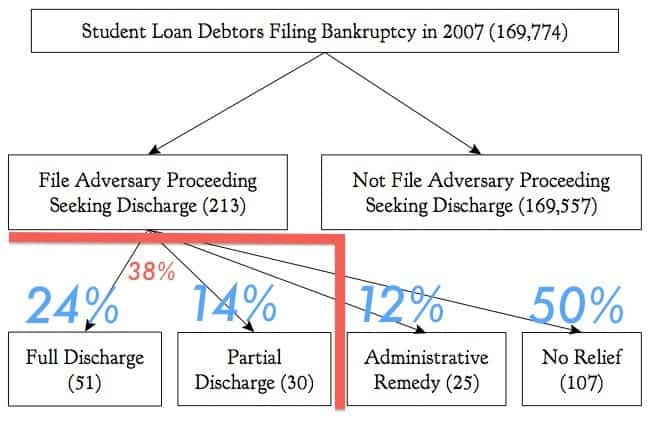 It is probably an unfair comparison to make since the Iuliano study included both federal and private loans but in that student a full discharge was granted in only 24 percent of the adversary proceedings filed in 2007. But it was 47 percent in the 2012 federal student loan cases. In the 2007 data 38 percent received some sort of elimination or reduction of their student loan debt. In the 2012 federal student loan cases 58 percent received a similar outcome. 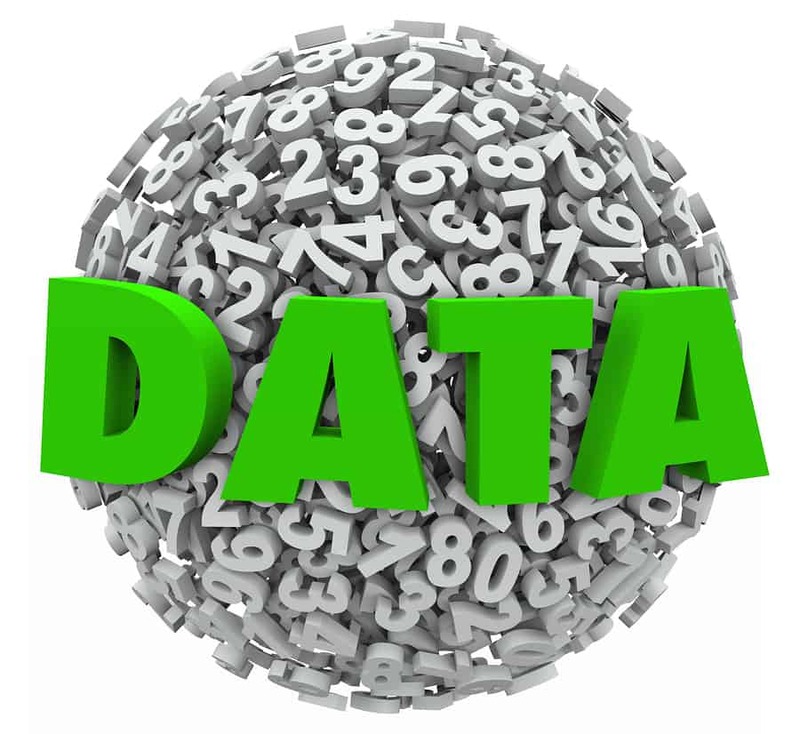 The task of evaluating the student loan adversary proceeding data is clearly a much more comprehensive project today since in the previous study of 2007 data there were 213 adversary proceedings covering a large number or federal and private student loans. In 2012 the number filed was substantially more and the time and cost involved to look at all the cases is very high. From the cases I looked at it does appear as if bankruptcy attorneys are slowly learning their way how to navigate such actions and put them forward more often. What follows is a look at the 47 percent of cases where the federal student loans were completely discharged with no tax liability to the consumer under bankruptcy. Consumer had seven 7 Stafford subsidized loans for a total unpaid balance of $17,391. “The Plaintiff is a victim of a violent crime occurring on or about May 2nd, 2005. The Plaintiff was assaulted by two male acquaintances. The Plaintiff asserts the following: She was drugged, held against her will, sexually assaulted, photographed and battered and further injured upon her attempting to escape. She asserts the defendant specifically stated he would have her again. The crime was reported to police who classified it as a sexual assault in the first degree. The two defendants were prosecuted in the Circuit Court for the First Circuit in the State of Hawaii. She asserts that prior to trial one of the defendants came to the Plaintiff’s place of employment (a banking facility with video surveillance) as well as on separate occasions approached and intimidated her all in violation of a restraining order. The Plaintiff asserts she fears retaliation and for her safety. The Plaintiff’s assert the incidents mentioned above caused the Plaintiff great mental and emotional distress in addition to physical injury and as a result she has been and continues to suffer from the incident and is and has been involved in treatment in numerous medical facilities and mental health facilities, as an inpatient and as an outpatient, voluntarily and involuntarily. The only income received by the Plaintiff consists of a $969.00 per month (SSI / EAEDC) payment from the Social Security Administration, Retirement, Survivors and Disability Insurance and $16.00 per month in food stamp benefits from the Massachusetts Department of Transitional Assistance. The Plaintiff has a desire to repay all or some portion of her educational loan debt, however, due to the Plaintiff’s disability she is and will remain unable to repay her educational debt including accrued interest. The case was not reopened so it is presumed discharged. The couple owed a total of $46,352 in federal loans. “On 8-31-12, the debtor filed for relief under Chapter 7 of the U.S. Bankruptcy Code. That the debtors are married, and have three dependant children living with them aged 4, 7 and 9 as of the petition date herein. Debtor’ adjusted gross income for 2011 is $58,154. Debtor had $130,820 in federal loans discharged. “The debtor, through counsel, asks the Court to enter an Order discharging the student loans owed to U.S. Department of Education and Access Group, Inc. In order to receive a discharge of her student loans debtor must show (1) that the debtor cannot maintain, based on current income and expenses, a “minimal” standard of living for herself and her dependents if forced to repay the loans; (2) that additional circumstances exist indicating that this state of affairs is likely to persist for a significant portion of the repayment period of the student loans; and (3) that the debtor has made good faith efforts to repay the loans, Brunner v. New York State Higher Education Services Corp., 831 F.2d 395, 396 (2d Cir. 1987). This test was adopted in the 9th Circuit, United Student Aid Funds, Inc. v. Pena (In re Pena), 155 F.3d 1108, 1114 (9th Cir.1998). Debtor owed $369,235 in federal student loans. “Plaintiffs allege that repayment of the student loan obligations would cause an undue hardship on Plaintiff Robert Hale. Plaintiff Robert Hale has produced medical records demonstrating that he has multiple disabling conditions. Department of Education debt is completely discharged. “I do herby request a discharge of student loan related to this bankruptcy chapter 7 due to “undue hardship” stated herein. On January1 6,2 008 our daughter, Melody, was diagnosed with “Down Syndrome” at birth. Unfortunately, this situation caused medical complications which no parent expects. The following is a synopsis of our financial situation as related to my request. for the additional costs of student loans. 2) Melody is just beginning her life. She will need my direct assistance all of her life. Therefore, the possibility of repayment is slim to none based on this current circumstance. 3) Presently, I have an employment deferment with direct loans. I have contacted them to try and make arrangements for payments. They will, by law, accept any payment I can make however; they will not change the interest rate which is fixed at 8%. This means that a minimum payment of $257.00 will need to be made monthly to cover only the accrued interest during the month. If I wanted to increase my monthly payment the remainder would then be applied to the actual principal amount I have researched other options to direct loans however; I am not qualified because I am not employed and am not returning to school. Direct Loans has no recommendations on how to solve this problem. Nor will they change the interest rate to accommodate a more fitting payment. The Department of Education previously had a judgment for the student loans. The balance had grown to $10,283. The judgment was discharged. Total federal student loan balance was $48,764. “That the Plaintiff is a widow, retired, and her sole support. That the Plaintiff is unable to pay for necessities of life for her household, as well as pay her student loan obligation. “Plaintiff has previously and currently experiencing medical problems that precludes her from becoming employed, employed either on a part time or full time basis. “a single individual, is the debtor in the above captioned bankruptcy case. The Debtor filed for relief under the provisions of Chapter 7 of the Bankruptcy Code, Title 11 U.S.C. on February 24, 2012. The Debtor is a 69 year old female. The Debtor is the primary income source for the household. The Debtor currently makes ($9.75) nine dollars and seventy-five cents an hour at her current employment. The Debtor works forty hours a week on average. 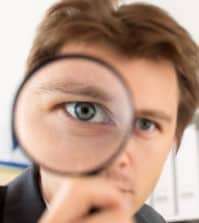 The Debtor’s monthly gross average income is ($1,491.92) one thousand four hundred and ninety one dollars and ninety-two cents. And has a roommate who pays approximately $350 per month. The Debtor’s average monthly expenses are ($1,824.25) one thousand eight hundred and twenty four dollars and twenty-five cents. The Debtor’s gross income for 2012 up to the date of petition was $2,926. The Debtor’s gross annual income for 2011 was $25,082, and 2010 was $26,887 which is close to the maximum that she could be expected to earn for her current profession. The Debtor currently works as a baker for [ ] and does not have any other professional skills. The Debtor does not anticipate any increase in her wages or standard of living. Debtor anticipates a decrease in her current income because she will be unable to continue working full time within the next year due to her current age and health condition. Plaintiff’s claims against the DOE are hereby dismissed without prejudice and without costs or attorneys fees to Plaintiff or the DOE. Plaintiff will pay TWENTY-TWO THOUSAND FIVE HUNDRED AND NO/100 DOLLARS ($22,500.00) of her student loan obligations pursuant to the following plan (Payment Plan): make monthly payments in the amount of SEVENTY-FIVE AND NO/100 DOLLARS ($75.00) to the DOE for a period of 25 years beginning on the 15′” day of the first full month following the approval of this Settlement Agreement and entry of an Order of Settlement and Dismissal by the Bankruptcy Court. “The Debtor is 44 years old. Since 1992 she has been employed for a nonprofit organization. For the last several years she has worked part time, Her gross income for 2010 was $18,331 and for 2011 was $19,377. The Debtor’s husband, Rodney Skadburg, is disabled and receiving Social Security Disability benefits. His impairments include lupus, diabetes and kidney failure requiring dialysis. The Debtor’s husband receives home dialysis administered daily by the Debtor. The Debtor has one minor child in the household. The parties agree that on or about April 25, 1996, Plaintiff, executed a promissory note to secure a Federal Direct Consolidation loan from the U.S. Department of Education. The loan was disbursed for $9,954.58 and $105,302.40 on August 7, 1996. As of November 16, 2012, plaintiff Richard Gerard Desira is indebted to the U.S. Department of Education in the amount of $256,372.35, representing the amounts due on the above debts of $22,142.34 and $234,230.01, respectively, which includes principal and interest. The parties agree that this debt is not subject to an undue hardship discharge pursuant to 11 U.S.C. $ 523(a)(8). Interest will accrue on this nondischargeable amount at the federal judgment interest rate, 28 U.S.C. $ 1961, in effect on the date of entry by the court of this consent judgment. Defendant, U.S. Department of Education, agrees to discharge the smaller debt, currently at $22,142.34, provided that Plaintiff meets the remaining terms of this Stipulation for Consent Judgment. Plaintiff negotiated a 48% settlement of the debt owed and will repay the balance at 0% interest. Plaintiff hereby consents to a judgment against him and in favor of the United States Department of Education in the amount of $4,800.00 as of December 3, 2012, This consent judgment is subject the terms set forth below. Plaintiff understands that by consenting to judgment he waives the right to a trial in this action. Plaintiff aclmowledges that he has entered into this Stipulation by his own free will, and with the opportunity for advice of counsel and under no coercion or duress, Plaintiff understands that the intent of this Stipulation is to give full and irrevocable effect to its terms, and by entering into this stipulation, Plaintiff is forever waiving his right to litigate the merits of the above-captioned lawsuit. Plaintiff has a current balance due to Defendant in the amount of $9,973.99 as of November 20, 2012. Defendant agrees to discharge the current interest of $499.84 and to reduce Plaintiff’s principal balance to $4,800.00. 1n consideration of this Stipulation, Plaintiff agrees to dismiss this adversary proceeding. Debtor negotiated a 29% reduction in debt and balance will be repaid at 0% interest. b. 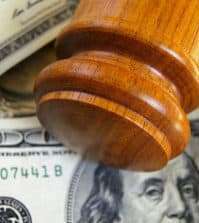 Plaintiff shall make a payment of $75/month to the loan processor every month beginning July 1, 2013, until the $27,000 has been paid to DOE. 3. The remainder of Plaintiff’s current student loan obligations to DOE will be discharged upon completion of the stipulated payments in Paragraph 2 above. 4. No interest shall accrue on the outstanding $27,000 in student loan obligations. It is not clear exactly what the agreement was between the Department of Education and the debtor. It is possible the agreement was to fully discharge the debt. “After completing his undergraduate curriculum, obtaining his masters degree in chemistry at California State University, Long Beach and completing all but his thesis for his doctorate in chemistry (at University of California, Santa Cruz) the Debtor was unable to complete his doctoral thesis after 9 years due to health and psychological problems. The Debtor gained but did not retain employment in several positions following his studies but never gained employment in his field of study. The Debtor has not been employed on a full time basis since December 2009 and has never maintained a position that paid him a sufficient wage to enable him to repay the Student Loans while maintaining even a minimal standard of living. The Debtor was diagnosed with multiple psychological ailments that were causing his inability to function as a student and later as an employee and eventually resulted in the termination of his most recent full-time employment. Given Debtor’s employment history and the unresolved status of his psychological ailments, Debtor has not been able to secure gainful employment and is dependent on financial support from his parents. Based on Debtor’s current income and expenses, the Debtor cannot maintain a minimal living standard and repay his student loan. He presently has no source of income other than unemployment compensation and family support. The Debtor has been diagnosed as having a history of bipolar disorder and hypothyroidism. He experienced his first psychotic episode at age 17 while an undergraduate at Emory University. He is now 50 years of age. He has been treated in numerous psychiatric facilities over the years including several recent episodes where he was sent by Baker Act to confined facilities. He was last hospitalized at the Aventura Hospital and Medical Center for six days in 2010. Given his current diagnosis and lack of employment his poor financial condition is likely to continue for the remainder of his life. The Debtor has made a good faith effort to repay the Student Loan including payments of $50.00 per month while employed for a number of years. “Plaintiff desires to repay her debt owed to ECMC and DOE under the Income-Based Repayment (IBR) for which she is eligible in her current loan program or through consolidation of her current loans in the William D. Ford Direct Loan Consolidation Program (Ford Program). Pursuant to federal regulations, Plaintiff cannot submit an application for the IBR with her lender or a consolidation application with Ford until her loans have been repurchased by the original lenders, and that repurchase cannot proceed if there is active litigation on the subject debt. Plaintiff is homeless and living on the streets. He filed a pro se adversary proceeding and stated he was unable to complete disability discharge application because he did not have medical insurance or a medical doctor. An interesting article, Steve, but 35 cases out of a nation of 330 million? I don’t think there is enough here to argue that more people may be eligible for student loan relief. The undue hardship standard is hard to meet, and the cases shown here reflect that. A disabled 62 year old woman, for example (why does she have student loans at that age, anyway?). I am not sure a 25-year-old with $25,000 in debt is going to get the same relief. That is an amount of money that could be paid off, over time. Indeed, it is less than the cost of a new car, today. There is also the problem of attorney’s fees. Obtaining such relief would require a skilled attorney with experience in this area. The cost could be more than the cost of the student loans. My fear is, that by promoting this idea, you will be sending people into the arms of bankruptcy lawyers who will claim they can obtain student loan debt relief, but fail to deliver – and end up making their situation worse. And yes, such lawyers exist. And they prey upon the desperate. The point of the article was to look at the previous study and see if the data showed the same or different pattern. I stand by my conclusion in the article. The point is many more could achieve the results and don’t try. The issue is few people try but the majority who did try in the 2012 data did receive beneficial outcomes. Of course the key here is screening for suitability. As far as representation for these issues, there are a growing number of lawyers who are taking on such issues at very affordable rates. It is a growing speciality for lawyers. As an example, see http://thestudentloanlawyer.com/ and you can use the interactive map to find lawyers trained in dealing with student loans in your state. Some lawyers I know of are handing these cases for $500 with a no win-no fee position. I have no idea what all lawyers specialized in dealing with student loans do charge. There is no national poll I’m aware of. The last line of your comment perplexes me. How would a bankruptcy attorney make the situation worse? This may be a shocker to you Steve, but there are crooked attorneys out there. For example, a friend of mine is an immigration attorney. When the amnesty law expired, there was little he could do to prevent deportation of his clients, and told them so. They would call back, a day later saying they found a new lawyer who would prevent their deportation! They paid him $5000 and were deported anyway. It was a good scam, as the complaining clients get deported, so they never complain to the State bar. There are a number of bankruptcy “firms” which claim they can get you out of debt, and tell clients to stop paying their bills. Usually, this ends up making problems worse, and I believe your own site has a lot of horror stories in this regard. My concern is that these same types of attorneys will use your data to suggest that avoiding student loan debt is quick an easy, and it is neither. Even for a “legitimate” attorney, these student loan cases are hardly anything routine. Given the standard of proof necessary to obtain student loan debt relief, I doubt any attorney would charge as little as $500 to handle such a complex case. As the small number of these cases attests, these are anything but “routine” bankruptcies. For a working person, paying off $25,000 in debt is not hard to do. And doing without cable TV, a smart phone, or a new car, is not deemed a “hardship”. I think the reason so few cases are brought under this hardship rule is that so few people qualify. Under the law, you have to show that under any circumstances, you cannot pay this money back, ever, ever. The disabled lady at age 62, living on Social Security, qualifies. The 25-year-old working a minimum-wage job and living with his parents, does not. So the “success rate” is not an indicia of anything. And bear in mind that you punted about 20 of the cases from your statistics. I think that few people bring these claims, because few have a real hardship case. I hope you are not giving people false hope. I am a little disappointed in your site, which appears to have gone aggressively commercial in recent months – so many ads these days! I think we are getting away from the point of the data study. First off, there has not been any change to place more the ads that appear on the site. In fact the number of ads in content has been reduced. The point of the data is not to be a sales tool but to look at the results achieved in bankruptcy AP proceedings and what the outcome was. I presented the individual cases so people could look at specific examples to determine the claims of the case and make a decision on creating suitability criteria. I don’t think the 2012 federal student loan AP data makes any such assumption. In fact the specifics of the cases show only who is more likely to achieve a discharge or reduction. I think your statement about bankruptcy attorneys is confused with settlement firms. Bankruptcy attorneys who file chapter 7 bankruptcies totally discharge debt in 90 days or less and give people a fresh start.